James Scullin became Australia’s ninth prime minister when the Labor Party won office, replacing the Nationalist Party government led by Stanley Melbourne Bruce. James Scullin was the first Australian born, and Catholic, Labor prime minister. His family's recollections of hard times in their native Ireland, combined with his own witnessing of poverty in rural Victoria, contributed to his views on the active role of government in improving the lives of citizens. Scullin had lived through the depression of the 1890s, and could see the warning signs of the looming Great Depression, but he was largely unable to deflect its impact on the Australian people. James Scullin was a skilled debater in an era in which it was greatly admired. It was in part this gift which brought him to the attention of the Labor Party, which first nominated him to stand in the seat of Ballarat against Prime Minister Alfred Deakin in the 1906 election. Scullin ran a grocer’s shop in Ballarat and worked as an organiser for the Australian Workers’ Union. 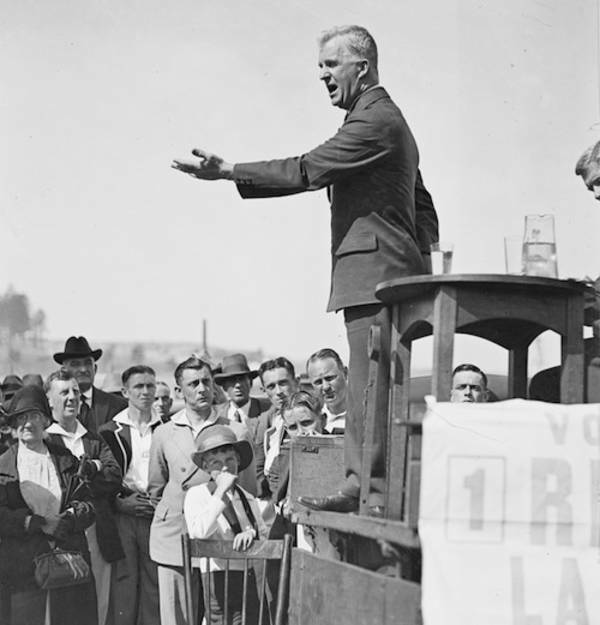 In 1922, Scullin won the seat of Yarra and in 1928 he became leader of the Labor Party and prime minister after the 1929 election. The crash of the New York Stock Exchange, which occurred in October 1929 and led to the Great Depression, came just two weeks after the election of the Scullin Government. The inability of the Scullin Government to respond to the Depression decided its fate and led to a split in the Labor Party. Scullin’s path to becoming prime minister had been rapid and culminated in a glorious election victory, with an additional railway car required to contain the mass of flowers presented to him on arrival in Canberra. In office little went right, but Scullin would be remembered as a man of decency and integrity. Australia and Britain are linked by a radio telephone service on 30 April 1930 for the first time. British Prime Minister Ramsay MacDonald makes the first phone call to Australian Prime Minister James Scullin. The first Australian-born Governor-General Sir Isaac Isaacs is appointed at the insistence of Scullin on 21 January 1931, against the wishes of King George V. Prime Minister Scullin told the King he would be prepared to hold a referendum or fight an election on the issue. Australian state premiers meet with Prime Minister James Scullin on 10 June 1931 to address the issue of rising unemployment and the prospect of economic collapse. The Premiers’ Plan promotes ‘equality of sacrifice’ to the Australian people. A bill to establish the Australian Broadcasting Commission is introduced into Parliament in 1931 and later passed by the Lyons Government on 9 March 1932. 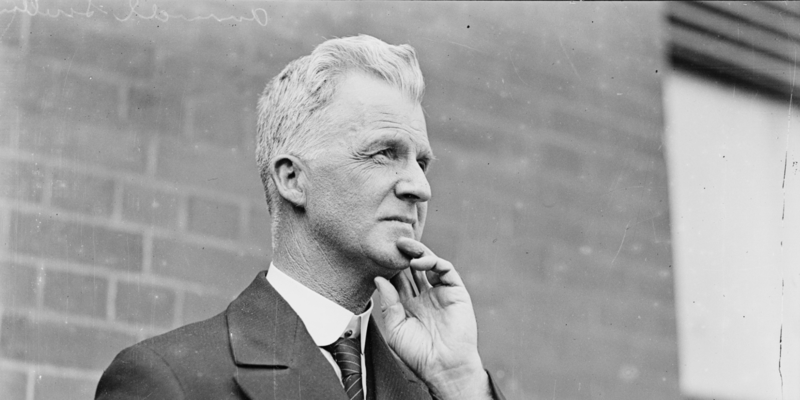 James Scullin won a historic victory in the 1929 federal election, in which Prime Minister Stanley Bruce lost his own seat. However Labor’s dominance in the lower house was in stark contrast to its position in the Senate, where 29 Opposition senators greatly outnumbered the seven Labor senators. The Scullin Government’s legislative program aimed at alleviating the economic crisis was severely hampered by the Opposition controlled Senate, although the Senate did stop short of refusing supply. Scullin was urged by many in his party to push for a double dissolution election. Scullin, however, continued to hope that the growing financial crisis would prompt the Opposition to put national interest ahead of all other considerations. 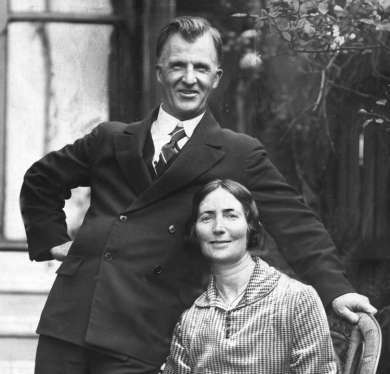 Scullin returned early in 1931 from his six month visit to attend the Imperial Conference in London to find the Depression had severely deepened. In what Scullin viewed as a decisive move, he reappointed his Treasurer Edward Theodore to implement his response to the crisis. Theodore had lost his job as the result of a Federal Royal Commission into corruption and fraud over the sale of the Mungana mine in Queensland. This resulted in two of Scullin’s senior ministers Joseph Lyons and James Fenton resigning and joining the Nationalist opposition to form the United Australia Party. The deeply divided Labor Party split into three factions, with supporters of the confrontational NSW Premier Jack Lang’s plan siding with Lyons and the United Australia Party to vote Scullin out of office. Papers of James Henry Scullin, 1929-1939. In August 1930, Scullin invited Sir Otto Niemeyer of the Bank of England to advise how Australia should deal with the worsening economic situation. This action allowed Jack Lang to make the argument that Australia was being dictated to by English financiers. John Curtin stated that Niemeyer spoke for ‘the black magic of money power.’ Niemeyer met with Commonwealth and State ministers, and the meeting resulted in the Melbourne Agreement. This agreement called for extreme austerity measures, with production costs to be cut and wages and welfare programs reduced. Many in the Labor Party never forgave Scullin for encouraging Niemeyer to come to Australia.